And it comes with a free lights-and-sounds show. (SPOT.ph) Cathedrals all over the world are known for being spectacular examples of majestic architecture, from Byzantine-style churches to French Gothic-inspired structures. Grace Cathedral—with its Gothic Revival features—in San Francisco, California, is no different. 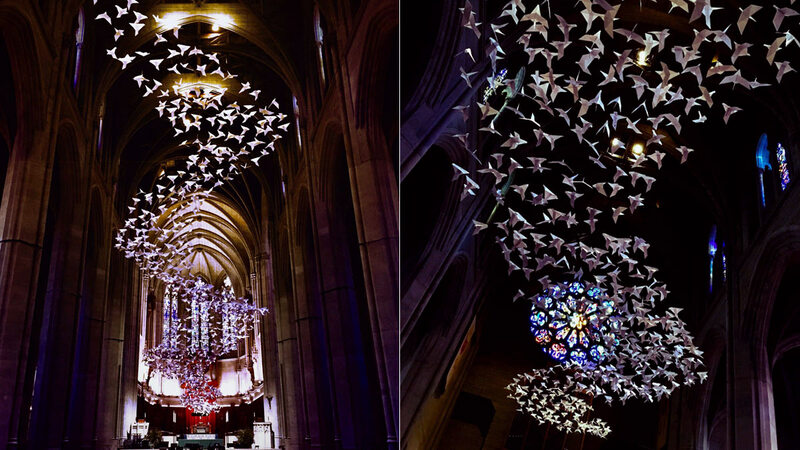 And how it looks inside is now even more spectacular with the installation of 2,000 paper doves arranged in a 45-foot-long hanging sculpture: "Les Colombes: The Doves" by Michael Pendry. 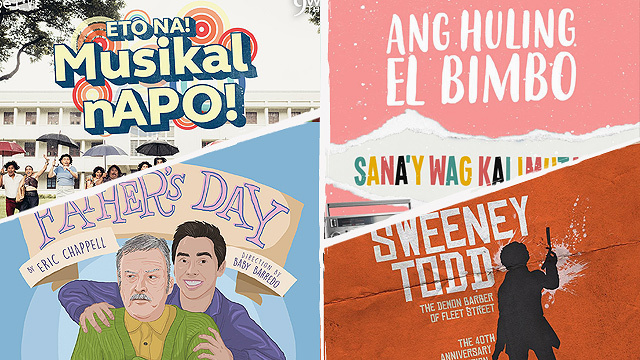 It is on display until March 2019. 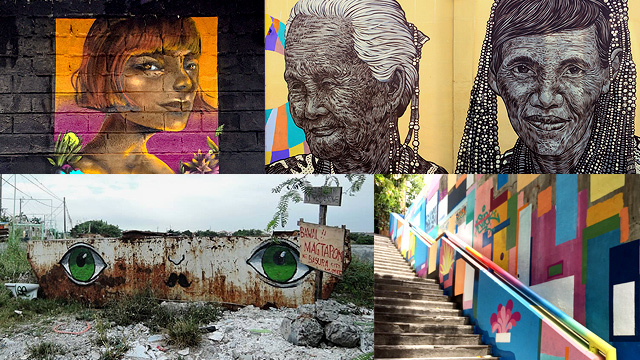 Pendry is known for his site-specific art installations that play with space, light, and shadow. 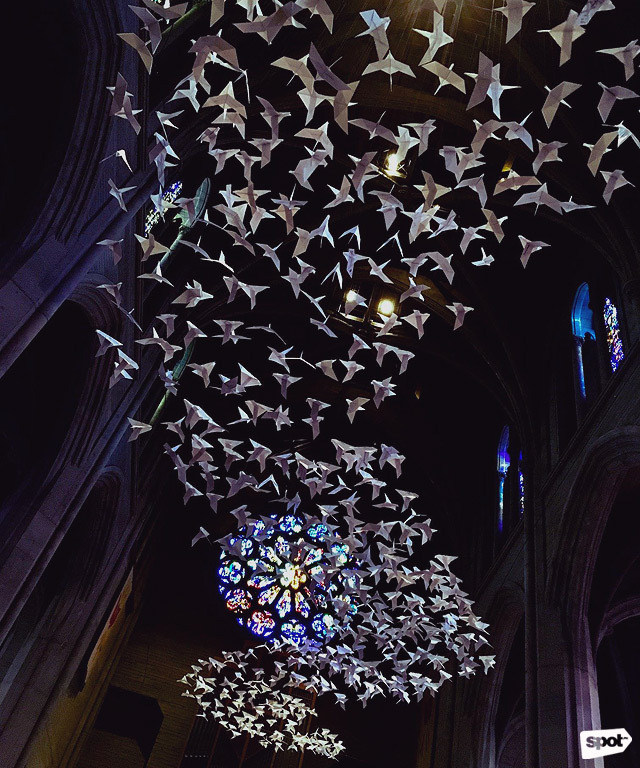 "Les Colombes" features three components: the origami paper doves that are folded by community volunteers to symbolize spirit and peace, the carefully arranged lights that make the doves look like they're soaring from the cathedral's doorway to the altar, and music that mimics the cooing of the birds and fluttering of their wings. 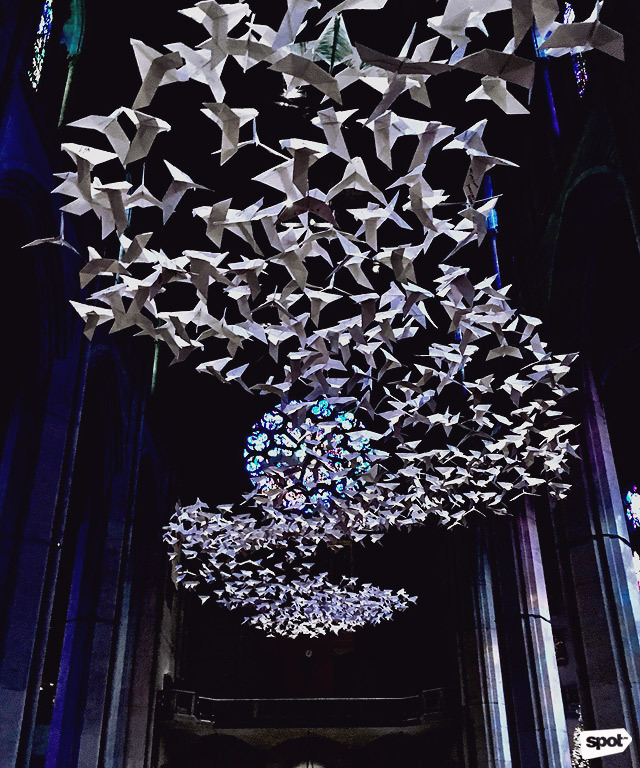 "The installation is seeking an approach to the idea of the spirit, the ‘Holy Spirit’ on various levels and angles with a full range of stylistic devices—a physical and emotional experience in unique spaces," the artist explained. It was first presented at St. Jakob in Burghausen, Germany, in 2015. The traveling exhibition was then displayed in Jerusalem, London, Munich, and England before it was finally brought to the U.S. The next stop is at CHR-Fifth Avenue, New York. 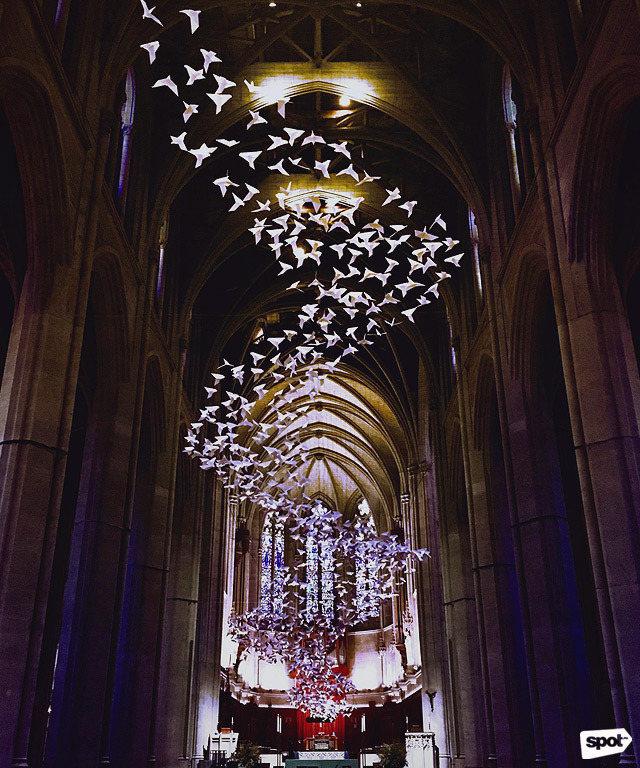 "Les Colombes: The Doves" is on display at Grace Cathedral, 1100 California Street, San Francisco, California, until March 10, 2019. Entrance is free. For more information about Michael Pendry, visit his website.